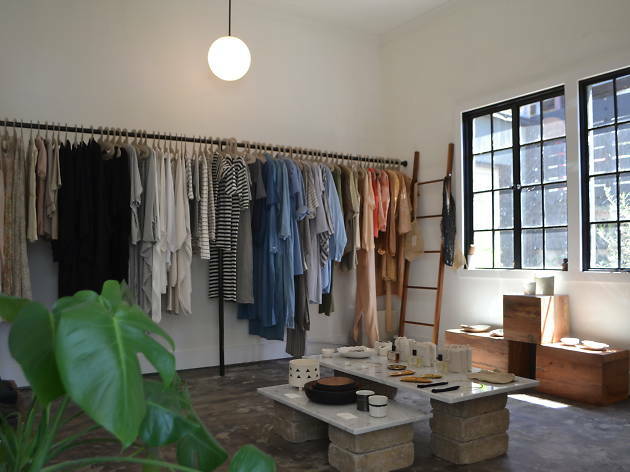 You may know Mixed Business from its pop-ups at markets like Mercado Sagrado, and if you do, you'll be very pleased to know they've opened a brick and mortar in Silver Lake. 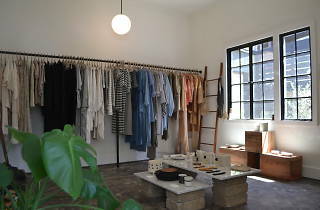 The spot offers a well-curated, color-coded selection of vintage pieces in addition to its own understated line (linen smock dresses, striped overalls). You won't find many crazy prints here—the front room is dedicated to mostly black and white pieces, while a smaller room in back houses a rainbow rack for everything else (muted pinks, sage greens). You can also find a small selection of jewelry, shoes and home goods, or head to the back for a flower arrangement.